I hope everyone had a great Halloween! It’s my all-time favorite holiday, and it lasts a full month in my house. I love to decorate with spooky decorations, go to haunted houses (the scarier the better), and of course cook and bake with fresh pumpkin. 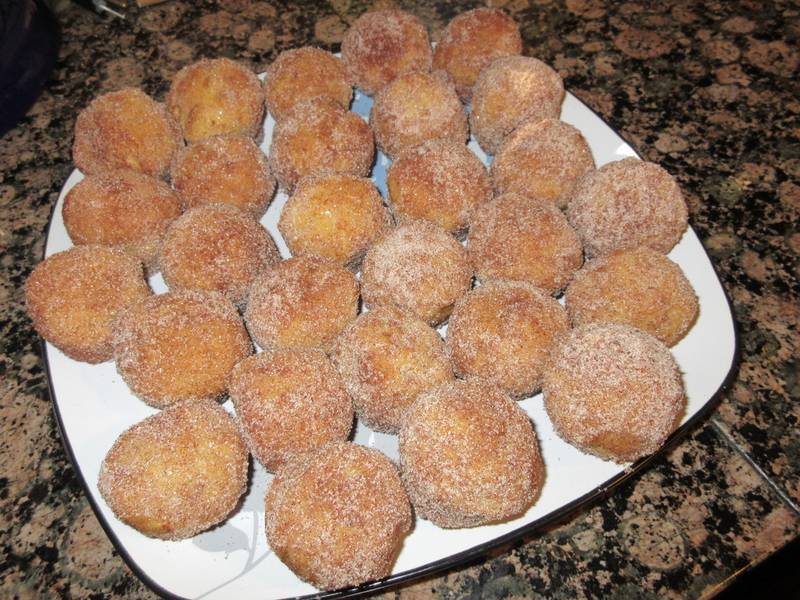 This year, I searched Pinterest for new and interesting pumpkin recipes and found these baked pumpkin donut holes (by livewellbakeoften.com). They are so good! They go great dipped in your morning coffee, or as a dessert. The best part is that they are made in mini muffin pans, so they are super easy. You can bake them ahead of time, and then dip in melted butter and roll in cinnamon and sugar the day you want to serve them. Preheat oven to 350 degrees. Spray two mini muffin pans with non-stick spray. In a separate bowl, mix together the pumpkin puree, brown sugar, egg, milk, butter, and vanilla paste. Add the wet ingredients to the dry ingredients and mix until fully incorporated. Spoon the batter into the muffin tins so they are ¾ full. Take a knife and spread out any lumps so that the tops are smooth. Bake at 350 degrees for 11-13 minutes, until a knife inserted in the center comes out clean. After 5 minutes of cooling, transfer the donuts to a wire cooling rack. When ready to coat the donuts, melt the butter and let cool. 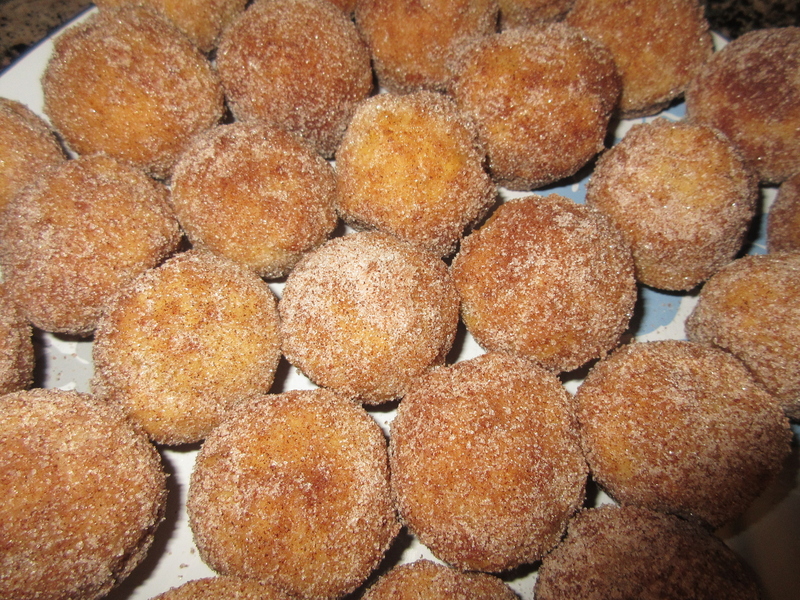 Dip each donut into the butter and then roll into the sugar and cinnamon mixture.